And for the loud crowd, we wrap up with an entirely unissued 1965-66 garage collection! Dig the speaker shredding fury of Rocky and his Friends' Wailers cover You Weren't Using Your Head, the snotball take-a-hike punk of the Jet City Five's Huh and the spunky teen crank of the Extremes' Long Dark Collar - and that's just the first three cuts! 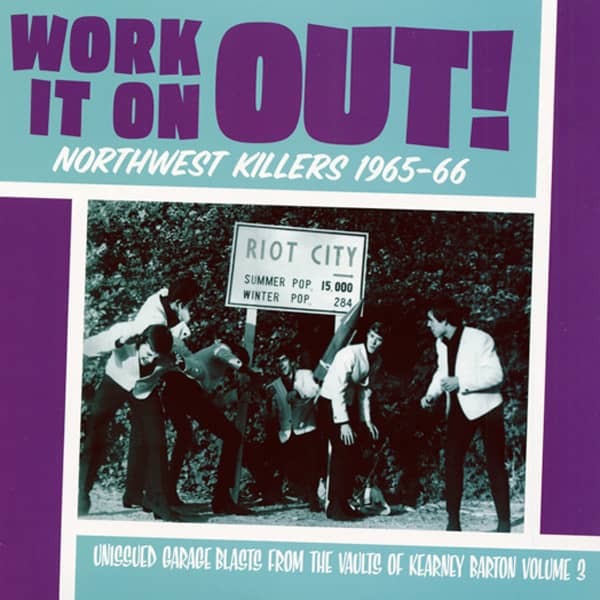 Customer evaluation for "Northwest Killers Vol.3 - Work It On Out 1965-1966 (LP)"